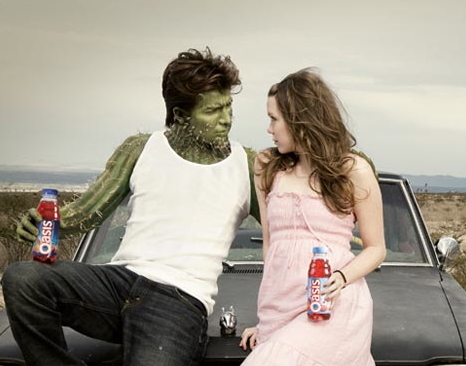 - The Social Path drew our attention to this perplexing Oasis ad where a girl gets knocked up by a cactus -- not for its own sake, but to justify half-assed Myspace campaigns. - 50 Cent is upset with Taco Bell. Yeah well, we are too. - Support your Presidential contender of choice with a handy-dandy kippah. Goes with everything. - This is kind of neat. By the way, save water. - Just what you need: a Samsung Instinct miniseries. - Kanye West helps improve self-esteem. With vodka. But you probably already know that trick, don't you? - Philippe Starck and BBC Two are doing an Apprentice-style series called School of Design. "Vous etes fired." Heh.